Tags: Bridal, Gold, Heavy, Royal Blue, Walima & Second Day. Golden pure silk fully embellished shirt. Shirt is finished with deep red piping. 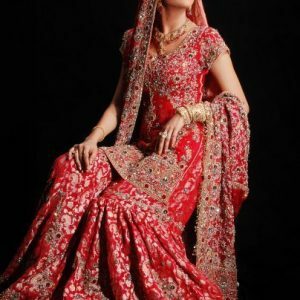 Golden banarsi jamawar lehenga has been adorned with embellished border at the bottom. Deep red velvet used as applique under the embellished border. 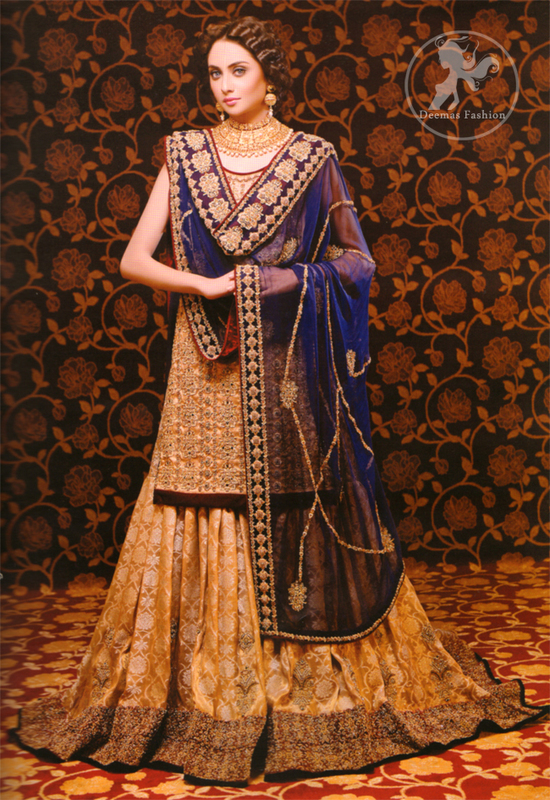 Royal blue dupatta has four sided embroidered border.